The common sweet bay - Laurus nobilis, is not only a popular and handsome large shrub or small tree, its leaves are often used to flavour Mediterranean dishes - in particular Italian pasta sauces. Of course most us us will be more familiar with the rather expensive but highly ornamental trained laurel topiary, and while purchasing such luxury items places the out of reach of many of our pockets, growing your own bay trees from cuttings is certainly not. 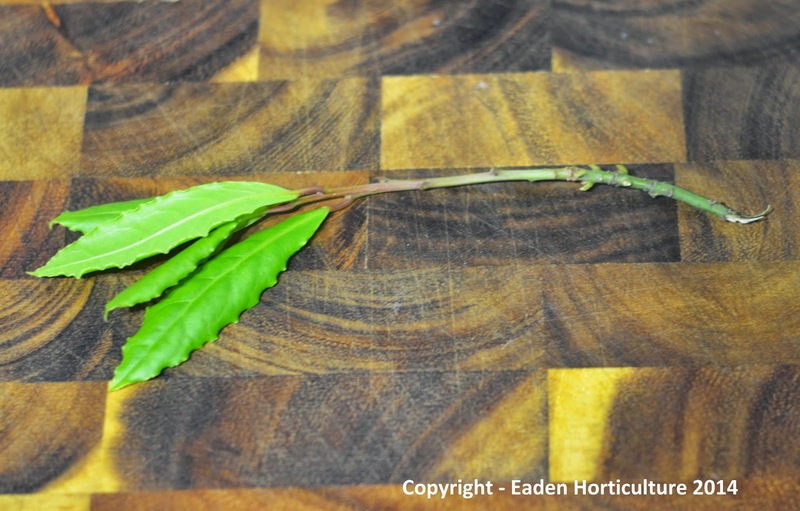 August or September is the time for taking bay tree cuttings. 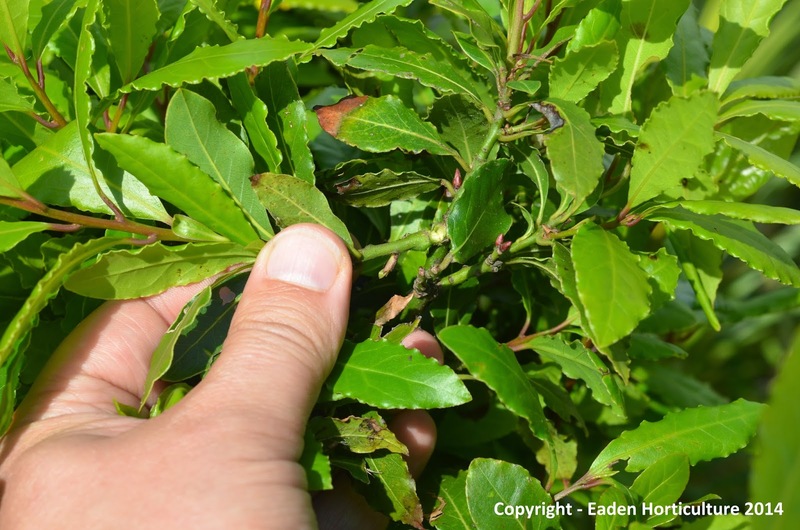 When choosing suitable cutting material avoid damaged, unhealthy, over-vigorous or unusual material, selecting shoots that are more horizontal in habit with short gaps between the leaves. Using a clean and sterilized blade, take 4 inch heel cuttings of lateral shoots. A heel cutting where the cutting is pulled away with a piece of the stem. Remove the lower leaves and if you want to created a multi-stemmed plant pinch out the shoot. Insert the cuttings into terracotta pots containing equal parts (by volume) peat and horticultural sand, it is not necessary to use rooting hormone powder. If you do choose to use rooting hormone powder then dip in the exposed wood at the heel of the cutting, then tap the excess of back into the container. Remember to use a dibber to create a guide hole for the cutting otherwise you will end up rubbing the hormone powder off of the cutting. Gently water in and place outside into a cold frame. They should have rooted by the spring and can be transplanted individually into 3-4 inch pots containing a good quality compost such as John Innes 'No 1'. Pot on successfully as required. Alternatively you can place the pots in a heated propagator at approximately 18 degrees Celsius which will promote faster rooting. 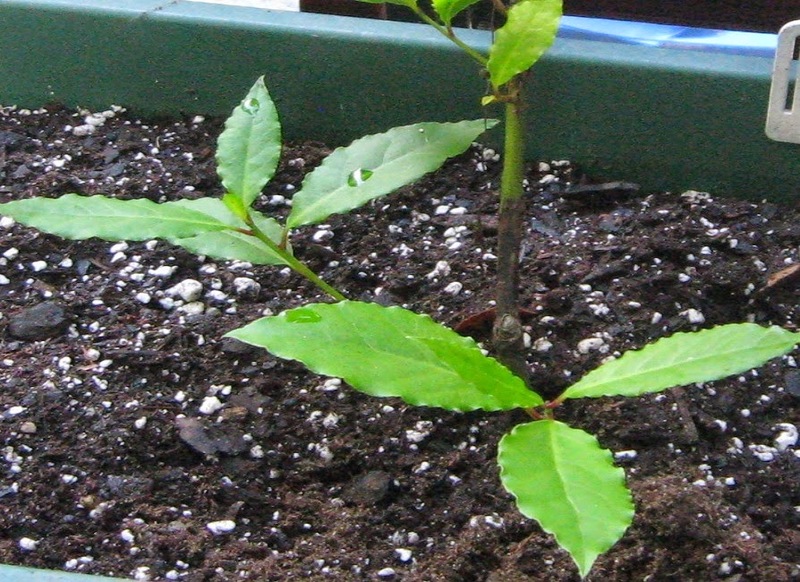 Come the following October the young bay tree plants can be set out in a nursery bed and then grown on for a year or two before planting out into there final position from March onwards or once the threat of late frost have passed. This is particularly important if you have experienced a mild spring as any new growth is at risk of being burned off by a hard frost.